I love making cherry pictures. They’re my favorite. First we grab a cherry pitter. Then we hold it over different pieces of paper. Then we squeezed the pitter and then it makes cherry juice. My first all berry jam was the best jam and the first jam I’ve ever made. The berries that were in it they were currant, blackberries, and raspberries. And there was sugar and pectin. That’s the end of our story. 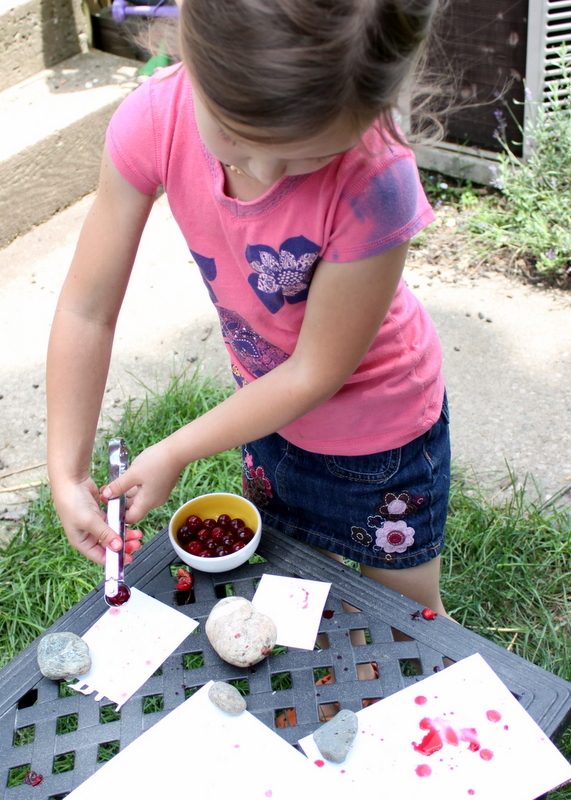 Posted on June 26, 2011, in Art, Food and tagged cherries, jam. Bookmark the permalink. 2 Comments. Lil that’s awesome! I’m 8 years old and just started my blog. I like the pink on your blog. I just posted about my dog.